Our first official participation in the League Championship and the memorable match against the French Battleship �?Danton’. Hamrun Spartans did not participate in the first official League Championship organised in the season 1909-10. The following year the ground in Marsa was not available since the British authorities decided to terminate the lease with the University students and the Lyceum, which meant that the League Championship for that year could not be held. Action in the League resumed in the season 1911-12, thanks to the Malta Athletic Club which at the time had another area in Marsa which they converted into a football ground. This was a relief for the teams at that time since the other option, the ground at ta’ Braxia had several shortcomings, including an infamous slope which handicapped the teams playing against it. The few leading teams at the time were five, namely; Floriana, St.George’s, Hamrun Spartans, Sliema Wanderers and Valletta United. All these accepted the invitation to participate in the second League Championship held in Malta. The first match of the league for the Spartans was played on the 3rd December 1911 against Floriana. The match raised huge interest again following the Cup clash between the two teams during the previous year. Thousands attended the match which was played for most of the time under heavy rain and uncomfortable conditions, both for the players and for their supporters. This time the Spartans had to succumb to Floriana’s experienced squad and lost the game 0-2. However the season for Hamrun continued with a string of positive results when considering that this was their first ever appearance in an official League. After a goaless draw with Championship contenders St. George’s, the Spartans moved on to beat Valletta United 3-0, whilst that they obtained another draw against Sliema Wanderers (1-1). Floriana were crowned champions whilst Hamrun Spartans finished runners-up ahead of St. George’s in third place. This continued to cement their position as one of the strongest teams on the island. 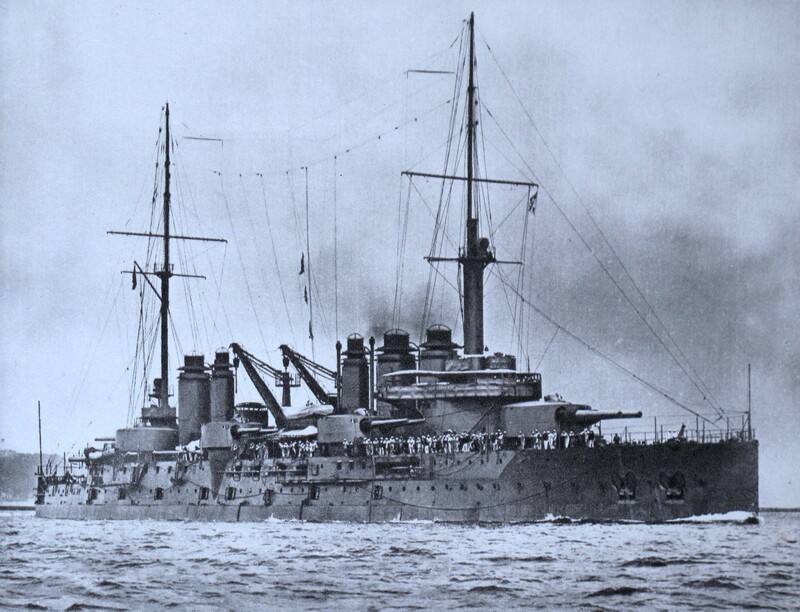 During the same season the Spartans had another memorable encounter against the French battleship �?Danton’ which during January 1912 paid a visit to the Maltese islands and issued an open challenge for a match against any of the Maltese elite of the time. The Spartans welcomed the idea and arranged a match against the Frenchmen which was scheduled for the 20th January 1912 at Marsa’s athletic ground. The match is with all probability, the first one which featured a foreign team on Maltese soil, whilst that the proceeds from the thousands who attended the match went for a charitable society. P.Borg, G. Wimsthurst, V. Bonavia, J. Darmanin, L. Ellul, A. Caruana, J. Bellia, M. Casha, G. Psaila, McAllister and A. Dimech. Hamrun gave a brave display and by the tenth minute of the second half the Spartans were already leading 2-0 thanks to their prolific striker Gejtu Psaila. A hailstorm half-way through the second half led to the players to abandon the field of play, nonetheless the Spartans where declared victors of the encounter. Elated with the result the French where invited to Hamrun after the match where they were treated to refreshments and souvenirs were also exchanged between the two sides. M. Dulas, Danton’s captain together with the rest of his equipe sand the �?Marsiellaise’ whilst the Maltese replied with the verses of �?God save the King’. The Spartan’s committee also present the match ball to the French who from their end left Hamrun with delight and words of praise for the hospitability showed by the Hamrun faithful.